Quality, playability, control and spin wise, this rubber takes a backseat to no other rubber. The spin is mechanical and formidable. The topsheet is relatively insensitive to oncoming spin, so initially I popped a few pushes too high. Once I adjusted, I found myself flicking the ball over the net rather than pushing. Opening loops and third ball attacks are twice as easy as with Tenergy. Blocks like a wall, produces a wide array of loops and serves with heavy spin and precision. Compared with Tenergy 05 (my most recent rubber), I find the P7; has more spin, a lot more control, easier to loop, block and flick with. 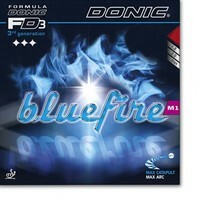 For my style of play, P7 suits my forehand much better than Tenergy 05 or 64 for that matter. It has good speed, more than enough for me. This just might be the best forehand rubber I ever played with. Leaves nothing to be desired. 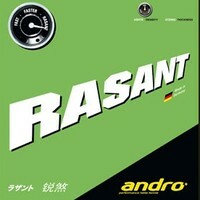 Andro Rasant...in a world full of T05/64/80 etc.. it cuts through them like a hot katana through butter. It is the Godzilla with poise and precision of a ballerina. It is alive. You want speed and power? It shoots balls out at trans-warp speed with pin-point accuracy. It has more spin than the following rubbers I have personally played with; SpinArt, T05/64/80,Tibhar Grip S, Tibhar Evolution FX-P, Tackiness Chop/Drive, Hurricane 3 Neo, Yasaka Rakza 7, Haifu etc. 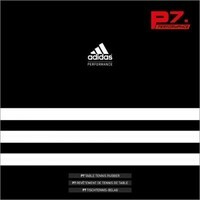 and Adidas P7 which comes in a close second. It has so many gears that I did everything with it today, from drop shots that just died over the net, to extremely wide angle touch blocks for outright winners, to lobs, chops and extinction level doomsday loops that go through USATT 2,000 rated players and powerful, precise and punishing punch blocks. I use it on my backhand in the 2.1mm thickness. It pushes exceptionally well and although it produces more spin than anything else out there, it is not as affected by incoming spin as many rubbers. It is like taking your 2014 Berlinetta out for a spin; it looks great and cruises nicely and comfortably down the streets of downtown. Then you take it to the track, put your helmet on and rip the asphalt off the track as you red-line the tachometer with every shift and carve through corners with the agility of a cheetah then create a wormhole as you fly through the long straights. Rasant will provide you with every chance to win the point. If you don't, it is because of user error. I used this rubber on my BH for about a month. Exceptional control! Blocks, pushes, lobs, drop and kill shots are excellent. Average amount of spin. Easy to use on all shots except the loop. When looping underspin, the same stroke will produce different results. I employ a variety of backhand loops; over the table, slow spinny loops, sidespin loops and just full power loops. It is in the touch loops that the rubber becomes inconsistent. Overall a good quality rubber for all aspects of the game, save looping. My review after two days for a total of five hours of playing. There are spinnier and faster rubbers for my forehand; but there is no better rubber for my forehand. My search is over. Spin and speed are in the top 10% of rubbers. Control is unreal. Peerless control with any shot and under any circumstance especially under duress. Playability unlike any other rubber. 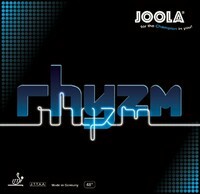 Imagine any shot and Joola Rhyzm will give you all the tools to make it. Power range is phenomenal, equally superb at close to the table play as well as counter-looping 10 feet away from the table. This is the joy of table tennis incarnated in every rubber sheet of Joola Rhyzm. 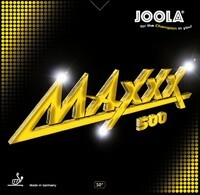 Just like with the Joola Rhyzm on my forehand, Joola Maxxx 500 is the best rubber for my backhand. Ever. There are spinnier and faster rubbers I played with, but none that are so uniquely me; none that complement and reward my skill and effort like the Joola Maxxx 500. Peerless playability of all shots just like the Joola Rhyzm on my forehand. Opening backhand loop is not just easy, it is an emotionally satisfying experience. I find the rubber giving me back everything I put into it and then some. Spin and speed are in the top 5%. Again, like the Rhyzm; it is the control and playability that is just beyond any superlative. You have power and control at any range. I have ended points in my favor with my backhand counter loop from a distance of 10 feet plus, just as easily as punch blocking a loop for a winner or doing a drop shot that is dead on arrival. I have picked up balls off my shoelaces and won points by lobbing. I have never derived so much satisfaction. I do not want to stop playing table tennis now because win or lose, every shot is a rewarding experience. Joy of playing my backhand has never been greater than now. No more experimenting. I have found my perfect backhand rubber. I started playing in 1970. I have used a lot of table tennis equipment since then. I am currently rated about 1600 USATT. This is by far the most technical inverted rubber I ever used. The throw angle is the lowest. The rubber is very fast. When you combine very low throw with great speed and a long trajectory you get a lot of balls going off the end of the table. That is true for players whose technique is not strong. For me personally, I have adjusted my technique and am very happy with this rubber. I am not good enough to get 100% of what the rubber offers. At best I am getting about 30 - 45%, but I am happy with that. Stiga took fast attack rubbers, put them together with very spinny rubbers and control rubbers and created a rubber that in the hands of a skilled technically proficient players can be all of the other rubbers combined in one. This rubber has so many gears and surreal control at any speed. 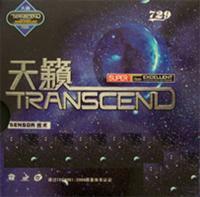 The long trajectory is disturbing to other players. 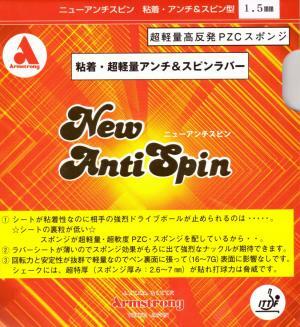 Spin depends entirely on the player. Stroke the ball correctly and there is very heavy spin, or change your stroke and watch the ball catapult with little to no spin. I love this rubber. It is light (45 grams at maximum thickness) I use it on my forehand with Barwell Fleet blade and T64 2.1 on the backhand. Well done Stiga! I just received this rubber and here are my first impressions after playing with it for a day. Out of the packaging, the rubber curls inward, so care and a roller should be used to mount it properly. I got the Maximum thickness and placed it on my second Stiga Rosewood XO blade on my backhand side. 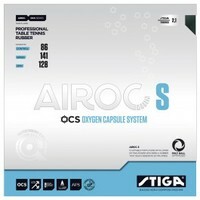 Airoc S, looks and plays differently than any other rubber on the market today. Under magnification, I can see pores in the topsheet and the pores in the sponge are visibly different than other sponges. The pips are thinner too. When playing the first thing I noticed is just how engaging and easy the rubber is to play with. It is fast and powerful as well as spinny with an unimaginable amount of control. At the table, the pushes are low and crisp, touch play is a dream with balls barely clearing the net and loaded with spin, blocks are precise and serves are loaded. Mid distance and far away the rubber shines even more. Loops and counter loops are punishing with pin-point precision. You can loop slow and spinny with a high arc or low and fast, your choice. Chops are low, controlled and loaded, lobs are equally consistent and precise. I played several of my friend and they all had three things they noticed; first was more spin, second was more control and third was more power. I lent them my racket so I can feel what it is like on the receiving end. I found the amount of spin Airoc generates annoying to play against. The amount of spin forced me to focus more on keeping the ball on the table, rather than adding more power and spin to my counter-loop this making my counter loops weaker. To make matters worse, the power and placement really makes for a miserable experience when playing against Airoc S. Airoc S plays well and shines in every aspect of the game. It does indeed give me more options than my venerable Tenergy 64-FX and 80-FX. With the new balls on the horizon that are less sensitive to spin and slower, Airoc S is indeed at the forefront of the sport right now. I play it on my backhand in the 2.1 mm thickness. 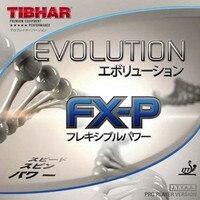 I used Tenergy 05 before trying Tibhar Evolution FX-P. I find the FX-P better for my controlled, spin, counter-attack and finesse style of play. Control, spin and precision are much better than Tenergy. Opening loops, pushes and blocks are superb, crisp, spin-laden and precise. Just point and place the ball where you are looking. It receives serves very well and just is an all-round better value. I can't find any fault or weakness with this rubber. Outstanding job by Tibhar. If you have any further questions, feel free to PM me. If you are playing with Xiom Sigma II Pro, STOP. And listen! This is not a rubber you play with. This is a rubber you have a conversation with. It starts when you grasp your blade and Sigma II Pro wakes up and says "Hi, what are we going to do today?" There are rubbers out there that are faster, spinnier, have more control but they do not have a soul. Xiom Sigma II Pro, does. It has a soul. Never have I played with a rubber that has such a synergy between the topsheet and sponge. It talks to me. It tells me everything about the incoming ball and asks me what I want to do with the ball, then it does it. This is the first and only rubber with built in Artificial Intelligence and a sixth sense. It is not very affected by incoming spin but is capable of producing a lot of spin of its' own. It has many, many gears. As advertised by Xiom, it really does have a winning trajectory. I use it on my forehand in maximum thickness and looping with it is sheer delight. Think of any shot in the game and the Sigma II Pro will execute it with unflappable poise and precision. The most playable rubber there is. 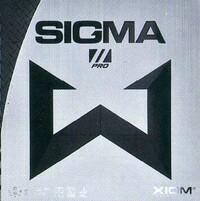 Xiom Sigma II Pro - it just wins.